This is such a gorgeous mirrored bedside table, this could be the perfect bedside table for your home which has a modern and contemporary look. 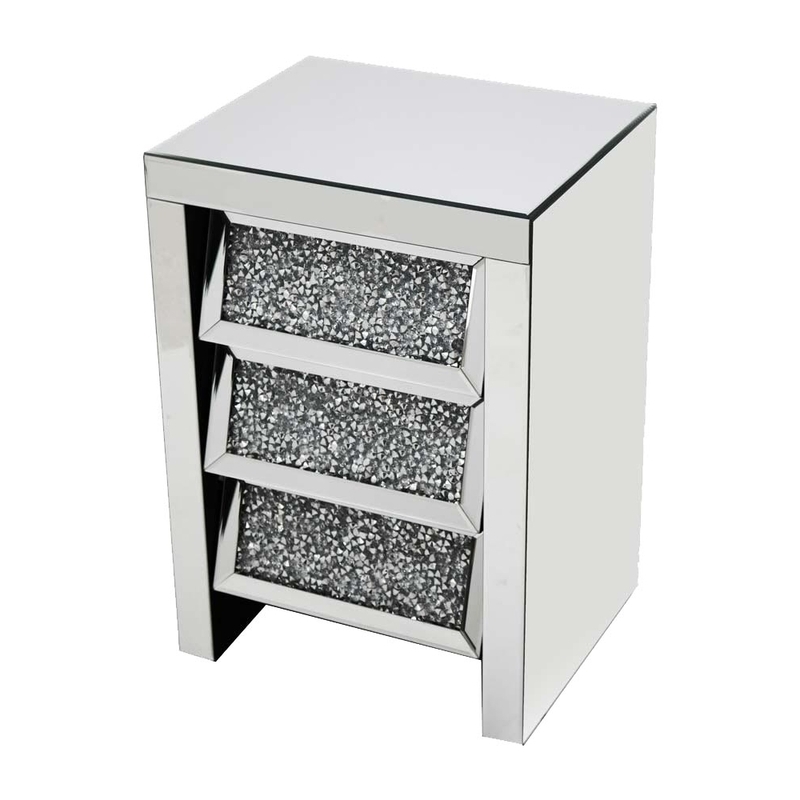 The draws on this bedside table have an angled finish which is a cool and quirky finish. The draws are then finished with a diamond like crystals. The bedside table is part of the Gatsby collection.